Oral history indicates that in 1808, Boaz Fleming made his annual trek to Clarksburg to pay his brother's Harrison County taxes. While in Clarksburg, he attended a social gathering that included Dolly Madison, his cousin. He complained to her about having to travel over a hundred miles each year from his home to pay his Monongalia County taxes and his brother's Harrison County taxes. Dolly Madison supposedly suggested that he create his own county to save him all that travel. Six years later, Boaz Fleming circulated a petition to do precisely that, naming the proposed county Madison County, in her and her husband's, President James Madison, honor. The petition failed to gain sufficient support to be presented to the Virginia General Assembly. He then focused on creating a town near his farm. In 1819, a road was built from Clarksburg to Morgantown. His farm was about halfway between the two, making a good resting point. He laid out the town on the west side of the Monongahela River in 1819. It was incorporated on January 19, 1820 as Middletown. It is unknown if the town was called Middletown because of its location mid-way between Clarksburg and Morgantown or because Boaz Fleming's first wife, Elizabeth Hutchinson, was originally from Middletown, Delaware. Middletown was named newly formed Marion County's first county seat on February 18, 1842. 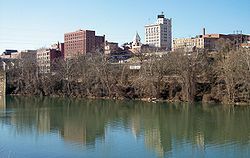 At that time, William Haymond, Jr. suggested that the town's name be changed to Fairmont because the town had a beautiful overlook of the Monongahela River, giving it a "fair mount." 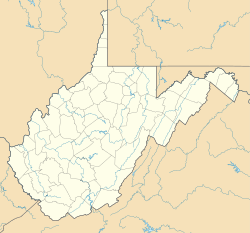 The Borough of Fairmont was incorporated in 1843 by the Virginia General Assembly." Fairmont is located at 39°28′53″N 80°8′36″W﻿ / ﻿39.48139, -80.14333 (39.481253, -80.143453). The Tygart Valley River and the West Fork River join in Fairmont to form the Monongahela River. Buffalo Creek, a tributary of the Monongahela River, flows through the northern part of the city. As of the census of 2010, there were 18,704 people, 8,133 households, and 4,424 families residing in the city. The population density was 2,169.8 inhabitants per square mile (837.8 /km2). There were 9,200 housing units at an average density of 1,067.3 per square mile (412.1 /km2). The racial makeup of the city was 88.9% White, 7.5% African American, 0.2% Native American, 0.6% Asian, 0.4% from other races, and 2.3% from two or more races. Hispanic or Latino of any race were 1.4% of the population. The median age in the city was 36.8 years. 18% of residents were under the age of 18; 16.2% were between the ages of 18 and 24; 25% were from 25 to 44; 24.4% were from 45 to 64; and 16.5% were 65 years of age or older. The gender makeup of the city was 48.2% male and 51.8% female. As of the census of 2000, there were 19,097 people, 8,447 households, and 4,671 families residing in the city. The population density was 2,438.5 people per square mile (941.7/km2). There were 9,755 housing units at an average density of 1,245.6 per square mile (481.0/km2). The racial makeup of the city was 90.16% White, 7.26% African American, 0.26% Native American, 0.61% Asian, 0.02% Pacific Islander, 0.20% from other races, and 1.49% from two or more races. Hispanic or Latino of any race were 0.82% of the population. There were 8,447 households out of which 21.4% had children under the age of 18 living with them, 40.2% were married couples living together, 11.7% had a female householder with no husband present, and 44.7% were non-families. 36.4% of all households were made up of individuals and 16.8% had someone living alone who was 65 years of age or older. The average household size was 2.16 and the average family size was 2.83. In the city the population was spread out with 18.4% under the age of 18, 14.9% from 18 to 24, 24.1% from 25 to 44, 22.2% from 45 to 64, and 20.4% who were 65 years of age or older. The median age was 39 years. For every 100 females there were 87.0 males. For every 100 females age 18 and over, there were 83.3 males. The median income for a household in the city was $25,628, and the median income for a family was $37,126. Males had a median income of $27,944 versus $20,401 for females. The per capita income for the city was $16,062. About 12.6% of families and 20.1% of the population were below the poverty line, including 22.0% of those under age 18 and 9.7% of those age 65 or over. 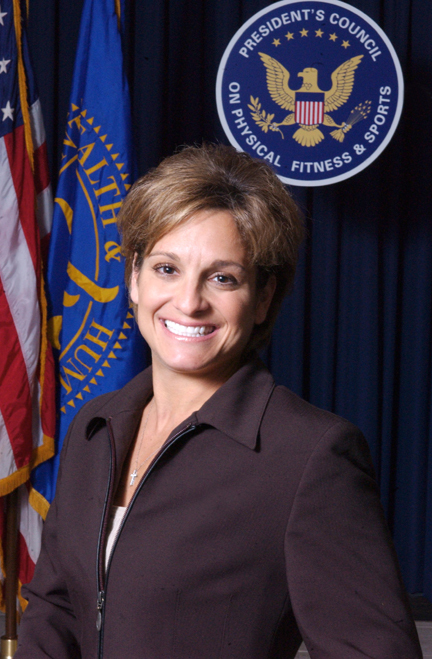 The Aerial Port Gymnastic Center is were the 1984 Olympic Medalist Mary Lou Retton was trained, now relocated to the former site of ABC Printing. Joe Cerisano, singer, songwriter, musician, "Be All That You Can Be" "Hands Across America"
Ron Everhart, assistant basketball coach at West Virginia University. Former head basketball caoch at Duquesne University, Northeastern University and McNeese State University. Art Finley, North American television and radio personality, mostly in San Francisco and Vancouver, remembered by many as "Mayor Art," the host of a live children's show that aired on KRON-TV in San Francisco beginning in 1959 through 1966. Philip C. Jimeno Long-serving member of the Maryland State Legislature. Francis H. Pierpont, Governor of the union controlled parts of Virginia during the American Civil War, known as the "father of West Virginia." ^ a b "US Gazetteer files 2010". United States Census Bureau. http://www.census.gov/geo/www/gazetteer/files/Gaz_places_national.txt. Retrieved 2013-01-24. ^ a b "American FactFinder". United States Census Bureau. http://factfinder2.census.gov/faces/nav/jsf/pages/index.xhtml. Retrieved 2013-01-24. ^ "Population Estimates". United States Census Bureau. http://www.census.gov/popest/data/cities/totals/2012/SUB-EST2012.html. Retrieved 2013-06-26. ^ West Virginia Atlas & Gazetteer. Yarmouth, Me. : DeLorme. 1997. p. 25. ISBN 0-89933-246-3. ^ FAA Airport Master Record for 4G7 (Form 5010 PDF). Federal Aviation Administration. Effective May 31, 2012. ^ "Annual Estimates of the Resident Population: April 1, 2010 to July 1, 2012". http://www.census.gov/popest/data/cities/totals/2012/SUB-EST2012-3.html. Retrieved August 27, 2013. ^ a b "The City of Fairmont - City Council". http://www.fairmontwv.gov. http://www.fairmontwv.gov/index.php?option=com_content&task=view&id=10. ^ "Former Philly Councilwoman Augusta Clark Dies at 81". WCAU. 2013-10-14. http://www.nbcphiladelphia.com/news/local/Former-Philly-Councilwoman-Dies-at-81--227596251.html. Retrieved 2013-11-23. This page uses content from the English language Wikipedia. The original content was at Fairmont, West Virginia. The list of authors can be seen in the page history. As with this Familypedia wiki, the content of Wikipedia is available under the Creative Commons License.